Critical Thinking Blog: All Opinions Are Not Equal: Oh Man, What's He Bringing? 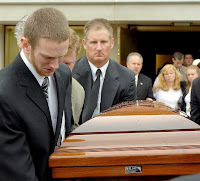 Don't you think the phrase should be "the pallbearer of bad news?" I think that makes more sense.